With the help of this Exchange EDB to PST converter software, a user can easily recover the completes Exchange Mailbox and export it into PST file format. While importing the Exchange EDB to Outlook application one can convert Exchange Mailbox with all included data items such as Inbox, calendars, tasks, calendars, notes, journals etc. Moreover, the software allows users to recover data from even Offline & Dismounted EDB files. 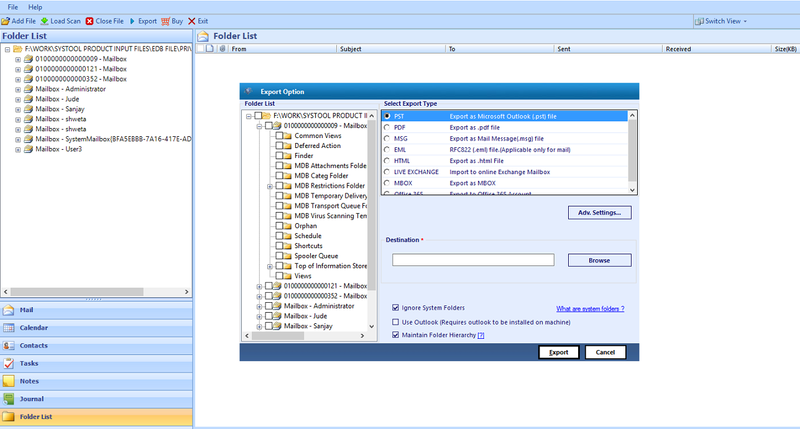 This tool also provides ignore system option to prevent move of unnecessary system folders. With the help of this EDB to PST Converter, a user can switch from Live Exchange Server to MS Office 365 account directly. Using this, one can export multiple mailboxes from Exchange 2016, 2013, 2010, 2007, 2003 to Office 365 at once. Moreover, the tool allows to migrate mailboxes to Office 365 user account also with the help of mapping option. Using Exchange EDB file to PST conversion tool, it becomes easy for a user to choose the Exchange EDB files of any storage group & recover all Exchange Mailboxes within it. Apart from this, if a user wants can multiple EDB files back to back by clicking on add file button. After that, a user can export all of them to any supporting file format i.e. PST, MSG, PDF, EML, & HTML format at once. One can use this software to repair & restore both folders of Exchange Mailbox i.e. public and private folders. Additionally, it becomes easy for a user to recover Exchange Private & Exchange Public folder without compromising with the integrity of data. Moreover, a user need not to worry about the version of Exchange Server because the EDB to PST tool is compatible with the Exchange Server 2016/ 2013 & all below editions. Exchange Mailbox to PST Converter software can recover email messages of all types such as RTF Format, plain text format, including HTML format. Moreover, the software maintains the original formatting of messages intact. In addition, the software restores all type of emails along with the associated attachments of any type such documents, images, etc., It also restores the attachments included in the HTML body. As there are differently computerized EDB files so, the tool also renders different types of scanning modes i.e. Quick & Advanced Scan modes. In the case of healthy Exchange EDB file, a user is advised to go for Quick scan mode. However, in the case of severely corrupted Exchange database, it is always suggested to go for Advanced Scan mode. Additionally, a user is allowed to save the scanned report of EDB file and directly load it in the case of future rescanning. Another impressive feature about the EDB to PST Converter is that it recover & restore even permanently deleted EDB mailbox data. After recovering deleted EDB files data, a user can export it in PST format. The tool recovers all deleted items such as emails, tasks, journals, contacts, calendars, etc. In addition to this, the tool is also compatible in recovering corrupted EDB file to Outlook PST format. Using this tool, one can easily recover data from even severely corrupted EDB file. With the help of Exchange EDB file to PST Converter, it becomes possible for a user to directly export the recovered EDB file data into the mailbox of Live Exchange Server. However, to import Exchange Mailbox to live Exchange Server, a user needs to map the mailbox name first. Moreover, if a user wants can export Exchange EDB file mailbox to any desired mailbox just by specifying the name of the mailbox. After validating the name of the mailbox, the tool import data in that respective folder. As soon as scanning process is completed, the software asks users to migrate data from Exchange mailboxes to PST file format. Here, if a user wants then, can export only selective data items also to PST format. One just needs to check or uncheck the data items from the required folder and after that perform the conversion. Moreover, one can use the date-based filter also to export selective data items and save the time of conversion. The software creates the single PST file for each mailbox. If the size of the mailbox is large then a user can go for a Split PST option rendered by the software. This feature will help users in splitting large PST file into small parts by size in order to make them more easy to manage. However, this feature is optional, one can easily check or uncheck the option according to their requirement and creates multiple small PST files from a single big PST file. While exporting Exchange Server mailbox emails into MSG or EML, the software allows users to save the exported file with any of the naming conventions of their choice. A user just needs to check the best-suited naming convention of their choice to save the emails such as save the file as subject, DD-MM-YYYY, YYYY-MM-DD etc. This feature will help users in sorting their emails in a more systematic and suitable way. As soon as Exchange Mailbox to PST Migration completes successfully, an instant summary report is created by the software. This report maintains the record of all data items that are exported like number mailboxes that are selected, and location of exported Exchange EDB files or mailbox. It is basically save in CSV format, which is supported by many other email application and allows users to refer it in future also. One can use this tool to recover Exchange Mailbox EDB file data. After recovering data from corrupted, dismounted EDB files, the software allows users to save the data in any of the supporting file format i.e. PST/ EML/ MBOX/ HTML/ MSG & PDF. This unique feature permits users to access the data stored in EDB file in any of the supporting email application of their choice. Moreover, it increases the accessibility of EDB files data. How to convert Exchange EDB file to PST Format? Have a look at the screenshots of the Exchange EDB to PST Converter to have a better understanding of the software functionality. It is a proficient tool to convert both the Exchange Public (pub1.edb) as well as Private (priv1.edb) folders including attachments into PST format. 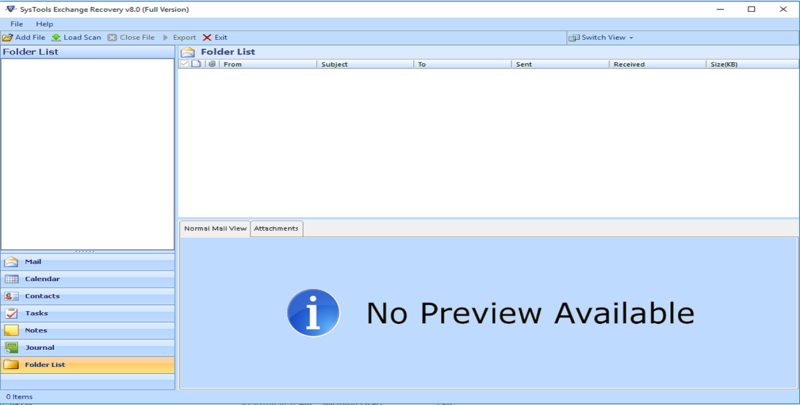 Step 2 : Free Preview of Exchange EDB file emails, contacts, etc. Step 3 : Export EDB File to PST, MSG, EML & Live Exchange. Can I export EDB file into PST format without having Live Exchange Server on the system? A: Yes, a user is allowed to convert Exchange mailbox to Outlook PST format even without having Exchange Server environment. Is it possible to export password protected EDB file without having a password? A: Yes, one can easily export password protected exchange EDB file even without knowing its password. Does the EDB to PST Converter export priv1.edb and stm.edb mailbox folder to Outlook PST format? A: Yes, the software converts all folders of Exchange Mailbox to PST format, including priv1.edb and stm.edb. Does the software maintain the integrity of data in the resultant PST file after conversion? A: The best apart about the tool is that it maintains the integrity of data even after converting EDB file into Outlook PST format. Can I convert multiple EDB files to PST format at once using Exchange EDB 2 PST converter? A: Yes, the software can easily export multiple EDB files to Outlook PST at once. But, one can add multiple EDB files one after another by clicking on Add File button again and again. Does the software allow users to export data to some external location also? A: Yes, with the help of this software, a user is allowed to save the exported EDB file to any desired location even at an external location. What is format type of resultant PST file created by the tool after conversion? A: The software will create UNICODE type PST file as a resultant file after conversion. Is it possible to export Exchange EDB file to PST format without installing MS Outlook on the local machine? A: No, a user must have MS Outlook 2016 or any below version installed on the system to perform Exchange EDB to PST conversion. Can I run this Exchange Mailbox to PST Converter on Windows 10 also? A: Yes, a user can easily run this tool on any version of Microsoft Windows, including Windows 10. Is EDB file to PST converter is completely free from all types of infected malware? A: Yes, the EDB to PST conversion tool is completely free from all type of infected malware. One can easily download it without any risk of loss of data or virus attack. Can I export Exchange 2007 Mailbox to Office 365 with the help of this software? A: Yes, the tool is capable to export Exchange 2007, 2010, 2013, 2016 mailbox to Office 365 account. It provides you option to migrate Exchange database to Office 365 without any hurdle. Want to export Exchange EDB to PST Format? Looking for a tool to convert selective items from EDB file? Searching for a safe and secure EDB to Outlook migration? 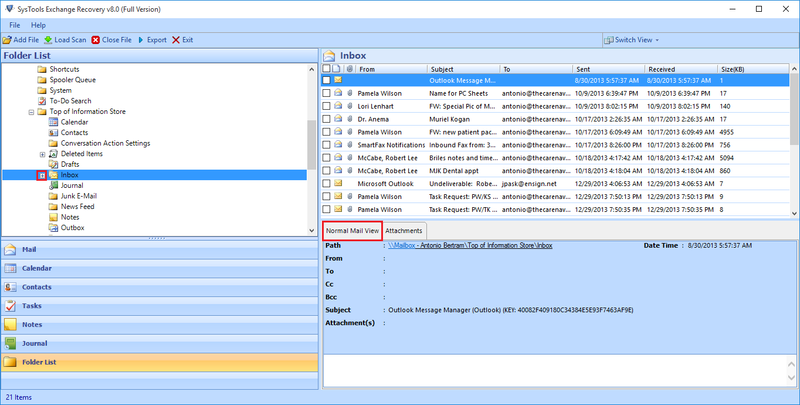 Want to convert corrupted Exchange Mailbox to Outlook PST? Need a tool to convert Exchange Public folder to PST file format? Can I Export Live Exchange 2010 Mailbox to Office 365? There are a number of queries related to converting EDB files to PST. However, the solution is one i.e. Exchange EDB to PST Converter tool. It is an all-in-one solution to overcome all the queries commonly asked by the users while exporting Exchange database to Outlook PST format. The tool easily convert all corrupted, password protected, and encrypted EDB file. In order to have detailed information about the tool, have a look at the catalog discussed below. I have used many software for different purposes, but I have to accept that EDB to PST Converter is the best product. It is very easy to use and saves a lot of time. I opted for manual methods to add Exchange mailbox to Outlook, but all my efforts go in vain. Then, I used this application and completed the whole task in a very rapid way. I really want to thanks, EDB to PST converter for helping me in such a great way. I tried this utility and found this product really helpful. It exports all data items stored in Exchange Mailbox to PST format in just a few simple steps. In brief, I just want to say that it was a great experience to perform file conversion using this tool. Spending money on this software is worth. Thanks for developing this marvelous, wonderful, and useful software and making the task of conversion easy, quick and safe. Throughout my whole carrier, I never saw a tool like this. I have used the trial version and on the next day purchased the full version. This really proves to be helpful for me. To perform manual conversion from EDB 2 PST format using PowerShell commands is really difficult for me. Most of the times, it does not work perfectly. That’s why I switched to a third party tool i.e. EDB to PST Converter. It is completely a trouble free solution without any limitations. Amazing utility for the Exchange users!! I must appreciate the work done by the developers for developing such a great utility that helps me in exporting EDB file to PST format without having Exchange Server and Active Directory environment. Apart from this, the software has a nice GUI that allows even the novice users to use the software without any expert help. I will definitely recommend this tool to Exchange users!! There are 15 EDB files that I want to import to MS Outlook application. That’s why I was searching for a utility to perform the same from a long time. After a long search, I came to know about this amazing Exchange EDB to PST Converter. The tool is so good and has a simple user interface to use. Thanks to the developers for developing such a wonderful Software!! I haven’t ever come across such a brilliant utility that easily solves my purpose. Earlier I thought it is very difficult to export EDB files to PST. Then one day I came across to this software. The tool served my purpose. Thanks developers! for such a wonderful product. I am seriously thankful to product for helping me out in my lean patch. I had so many EDB files that were required to be exported in PST. I was all confused how to do this. Then one day, one of my friends told me regarding this tool. Thank you developers! you guys are just brilliant. I am seriously mesmerized by the working of the tool. The utility has served all my purposes. I just want to say that the tool has a brilliant interface with brilliant features. I just want to confess. Thanks a ton Developers! and yes Three cheers for your success! I had multiple files in EDB format and I was looking for a quick approach to migrate them into Office 365. The software helped me in a great to fulfill my this propose.